The release of Darren Aronofsky’s Noah (US: Paramount/Regency/Protozoa/Disruption, 2014) on cinema screens around the world in the run up to Easter 2014 is a distribution strategy at least a century old. “As a Passion Play,” wrote a reviewer in Dublin’s Evening Telegraph of the latest release at the Rotunda’s in early April 1914, “‘The Messiah’ holds one with its intense impressiveness and pathos, and its exhibition just at this holy season is a happy and appropriate synchronism” (“‘The Messiah’ at the Round Room Rotunda”). This synchronism – or well-established distribution and exhibition strategy – was familiar to cinemagoers of the 1910s who would have seen the practice of releasing biblically based films for this religious festival as entirely unremarkable. In fact, this practice reproduced in a new medium the centuries-old Christian tradition of performing passion plays at Easter. 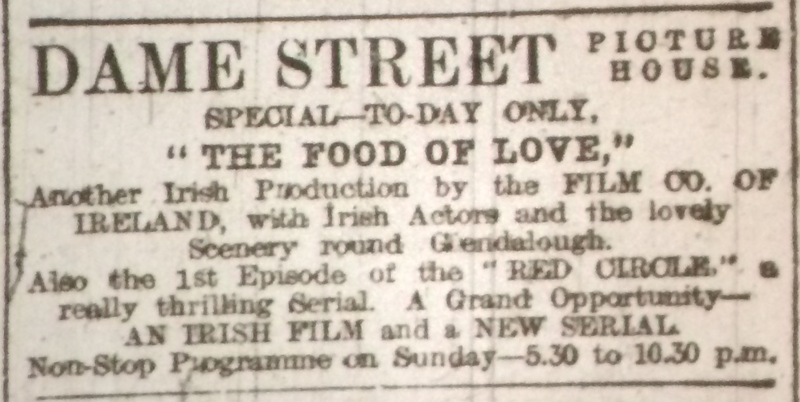 Filmic passion plays were among the first moving pictures (Cosandey passim), and they were so popular that The Messiah shown in Dublin in April 1914 was the 1913 remake (dir. Maurice-André Maître) by French company Pathé of its La vie et la passion de Notre Seigneur Jésus-Christ, which the company had first produced in 1903 and again in 1907 (Abel 319-20). And this was just the output of one – albeit large – production company. 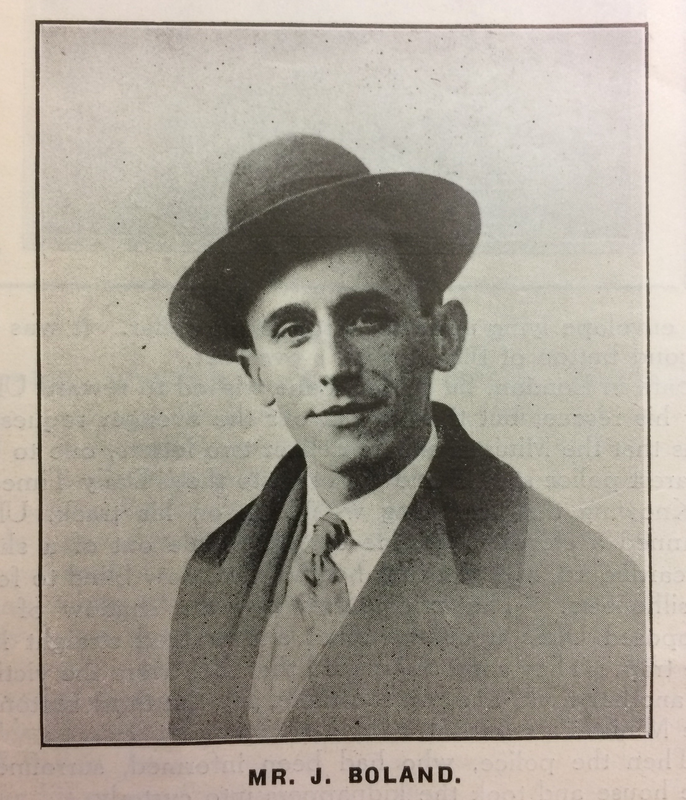 Rotunda manager James T. Jameson as he appeared in a caricature in the Bioscope in November 1911. Easter Monday fell on 13 April 1914, but James T. Jameson, director of the Irish Animated Picture Company, and his son, Ernest, who managed the Rotunda, had begun the run up to Easter much earlier. In early March, Jameson senior had secured the Irish rights to two long “exclusives”: The Messiah and Spartacus, or the Revolt of the Gladiators (Italy: Pasquali, 1913) (“Items of Interest”). In its review of Spartacus at the Rotunda in the week beginning 23 March, the Dublin Evening Mail compared it to Quo Vadis? (Italy: Cines, 1912), the Italian epic that had been the biggest hit of 1913 and that had been available to Dublin audiences as lately as 2-7 March at the Camden Picture House (“Rotunda Pictures”). However, The Messiah was a more important film for the Rotunda than Spartacus. For one thing, it was longer; Spartacus shared its bill with the comedies The Awakening at Snakesville (US: Essanay, 1914) and When Cupid Takes in Washing (US: Lubin, 1914), but The Messiah was the only thing on the Rotunda’s programme for the two weeks beginning Monday, 30 March. As well as this, because it depicted the life of Christ, The Messiah had the potential to be as controversial as From the Manger to the Cross (US: Kalem 1913) had been the previous year. The superiority of The Messiah was emphasized by the Evening Telegraph, which urged “any person who witnessed “From Manger to Cross to pay a visit to the Rotunda and see what a drastic and extraordinary difference can be introduced in the treatment of the same subject, and more especially the grandeur of its colouring” (“‘The Messiah’ at the Round Room Rotunda”). 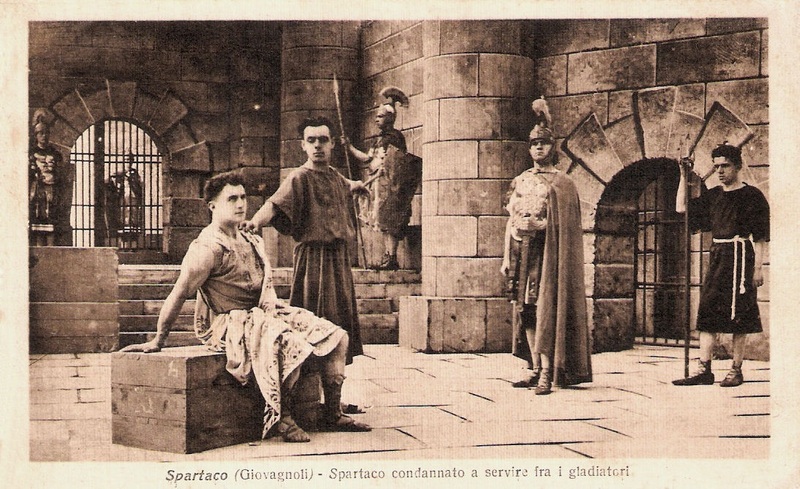 Postcard featuring a scene from Spartacus. https://www.flickr.com/photos/truusbobjantoo/6878893236/in/pool-cinemaitaliano. The Messiah was certainly a success at the Rotunda. Quoting figures supplied by the Rotunda management, the Telegraph revealed that by the Saturday of the first week of its run, it had been seen by over 22,000 people, “including a considerable proportion of the clergy of every denomination, and there have been nothing but the highest eulogies expressed by everybody who had the pleasure of seeing this marvellous production” (ibid). 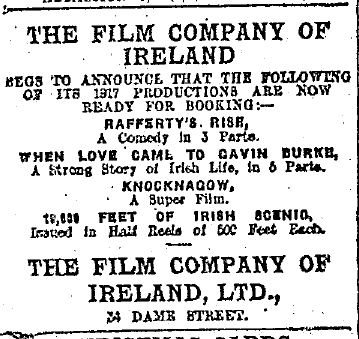 Paddy, the Irish correspondent of the British trade paper Bioscope, speculated that the audience for the full two-week run would number 50,000, commenting that the film “easily surpassed anything of the kind ever seen in Dublin, and the special music, so brilliantly rendered by Miss May Murphy’s Irish Ladies’ orchestra, added to the reverent screening of this great film” (Paddy). 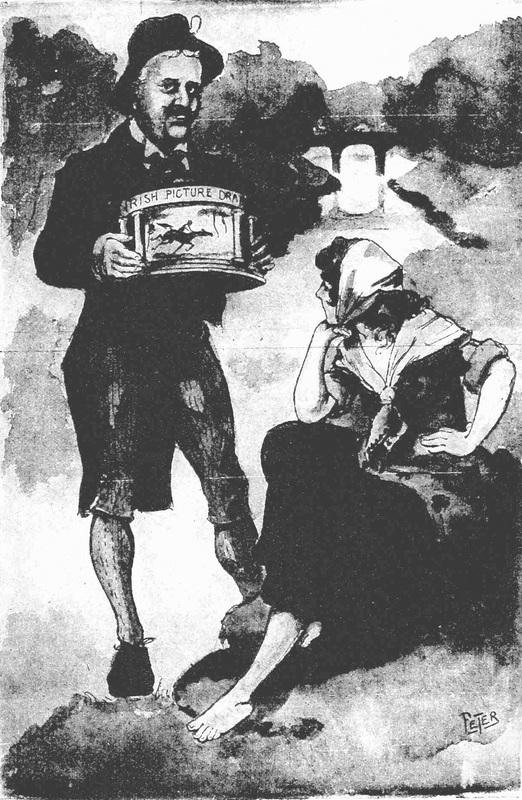 Although Jameson offered a new bill from Easter Monday featuring Christopher Columbus (US: Selig, 1912) and a film of the Grand National Steeplechase, he brought back – purportedly due to popular demand – The Messiah by the end of that week for selected matinees and early evening shows until Friday, 24 April. The elaborate production of cinematograph films shows how much this form of entertainment has grown in public favour. Unlike skating rinks, living pictures seem to have come to stay. They supply an easy means of transporting oneself for a time from the uneventful round of daily life. Sitting in a comfortable seat, the spectator can in a moment travel from China to Peru, from the waste of the open sea to the sun-bathed mart of some Eastern town; he can witness fire and flood and return safely to a good supper by his civilized fireside (“Irish Animated Picture Company”). The Rotunda had aimed to provide such a variety of attractions with multiple films in its two-hour shows, but the Italian epics could provide a range of spectacles in one film, as well as a patina of high-cultural value associated with classical education. As adaptations of literary works, Quo Vadis? – from Henryk Sienkiewicz’s novel – and The Last Days of Pompeii (Gli ultimi giorni di Pompeii; Italy: Ambrosio, 1913) – promoted as “Lord Lytton’s great work” when it played at the Camden Street Picture House in the week beginning 20 April (“Camden Street Pictures”) – could benefit from recognition by middle-class audiences, as well as bestowing cultural prestige on the film and the picture house at which it was shown. 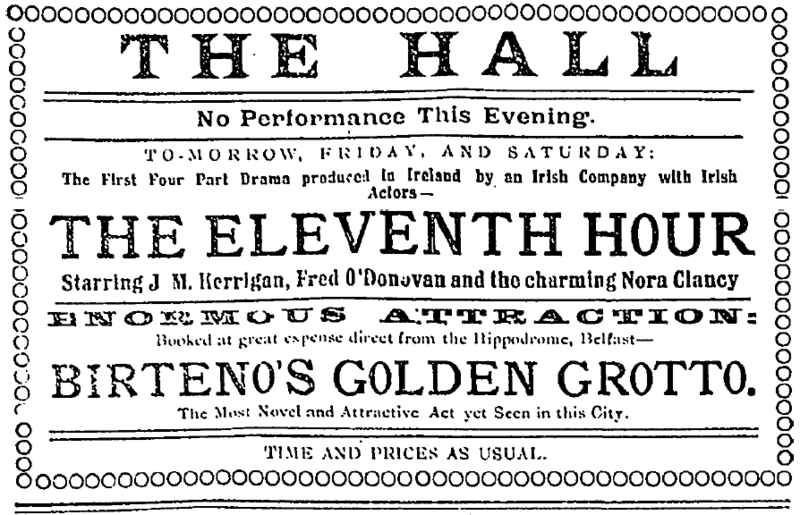 Among other significant literary adaptations on exhibition in Ireland at Easter 1914 was Cines’ Antony and Cleopatra (Italy, 1913), a story that prospective spectators at the Opera House in Derry were informed “has been variously dealt with by many famous writers, including the immortal Shakespeare” (“Easter Amusements”). 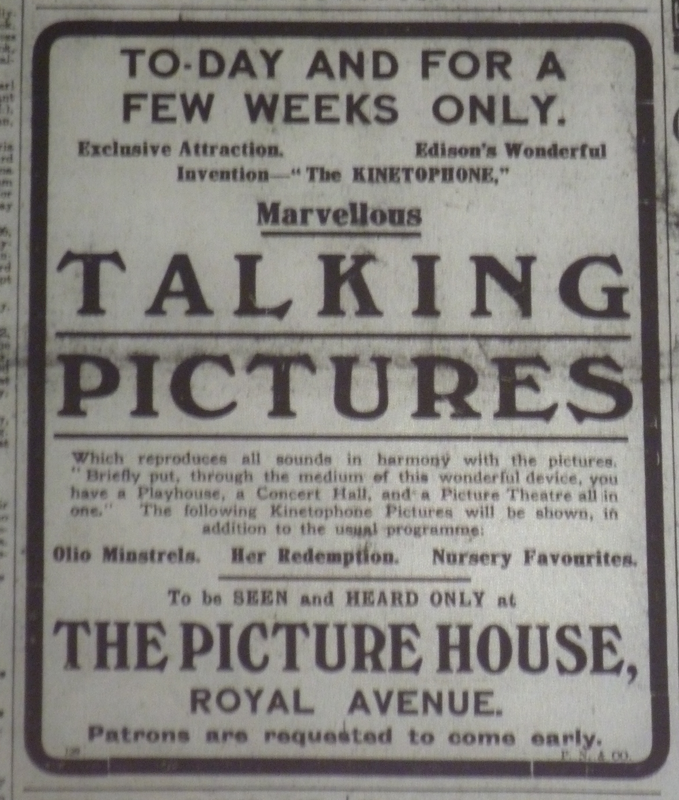 Edison Talking Pictures at the Picture House, Royal Avenue, Belfast. Belfast Newsletter 3 Apr. 1914: 1. The extent to which a shared or imposed set of cultural values deriving from literary culture, classical education and Christian doctrine was the source of the popularity of The Messiah or the Italian epics is difficult to say definitively without some discussion of how images of these circulated more widely (Uricchio and Pearson). Certainly, the promotion of such films as respectable by the trade press, newspapers and other forms of picture-house promotion did not prevent other cultural forces from continuing to attempt to impose their own control on cinema and its audiences. this will be the last Easter before Home Rule becomes the law, for the Home Rule Bill will reach the Statute Book in the course, probably, of the next five or six weeks. It is well that Easter should herald the coming of Ireland’s resurrection, for in the Christian sense it symbolises the Resurrection (“Easter”). Christianity here meant the Catholicism of the Telegraph’s readership and of the majority of Dublin Corporation’s dominant nationalist faction. With Home Rule apparently imminent, more militant forces within the church were determined that cultural policy reflect a Catholic ethos, regardless of how this might affect the business interests of certain Catholic nationalist councillors. Does his lordship know that the United Sodalities of Dublin (male and female) are out for reform of the picture theatres? Does his lordship know that the United Confraternities of the city are out for the same object? And does he also know that the Theatre Reform League of Dublin (which will later embrace all of Ireland) are on the watch against the class of production that has flooded our capital for some time now? (ibid). Although Larkin and those named lay organizations would lead the campaign, priests and bishops lent the support of the hierarchy. A letter from a Father Gleeson calling for “an Irish National Censor, who understands the hearts and minds of the Irish people” accompanied Larkin’s (“Letter from Father Gleeson”). In April, the Lord Mayor “stated that Archbishop Walsh was not in favour of closing picture houses on Sunday, but he thought that a limit should be placed in the hours of opening so that there would be no interference with the freedom of persons to attend divine worship.” Under pressure from both inside and outside the Corporation, Sherlock “was writing to Archbishop Walsh asking him whether he would take upon himself the responsibility of suggesting what type of censorship should be put into operation” (“Picture Theatres: The Archbishop’s Views”). Ad for the newly opened Great Northern Kinema in Belfast Newsletter 9 Apr. 1914: 9. Larkin ended his letter on Dublin picture houses with some architectural criticism by remarking that “the building themselves are not even decent looking” (“Sunday Pictures: For Working People”), but Easter for Belfast’s picture houses was notable for its openings of distinct contributions to the city’s streetscape. The latest addition to Belfast’s substantial tally of picture houses was the Great Northern Kinema in Gt. Victoria Street, which opened in the first week of April, a little over a week after the 23 March opening of the Crumlin Picture House on the Crumlin Road. 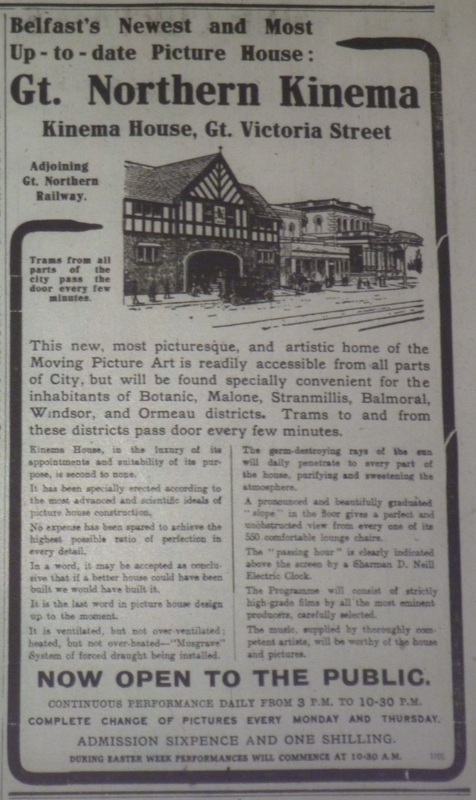 The Kinema, “[t]his new, most picturesque , and artistic home of the Moving Picture Art,” was located beside the Gt. Northern railway station, as well as on some of the city’s major tram lines (“Belfast’s Newest and Most Up–to-date Picture House”). 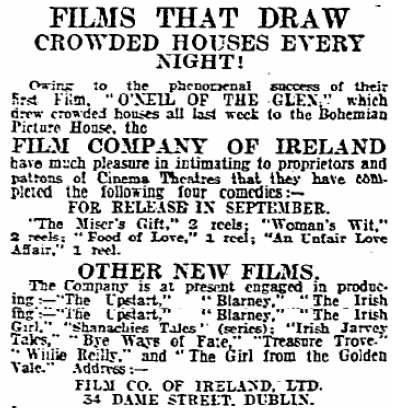 No single film seemed to dominate the picture house programmes over the holiday period in the same way as The Messiah did in Dublin. At the “luxurious and attractive” Kinema, “[t]he star film during the early part of the current week is a two-reel drama entitled ‘Silent Heroes’” (US: Broncho, 1913) (“Kinema House”). 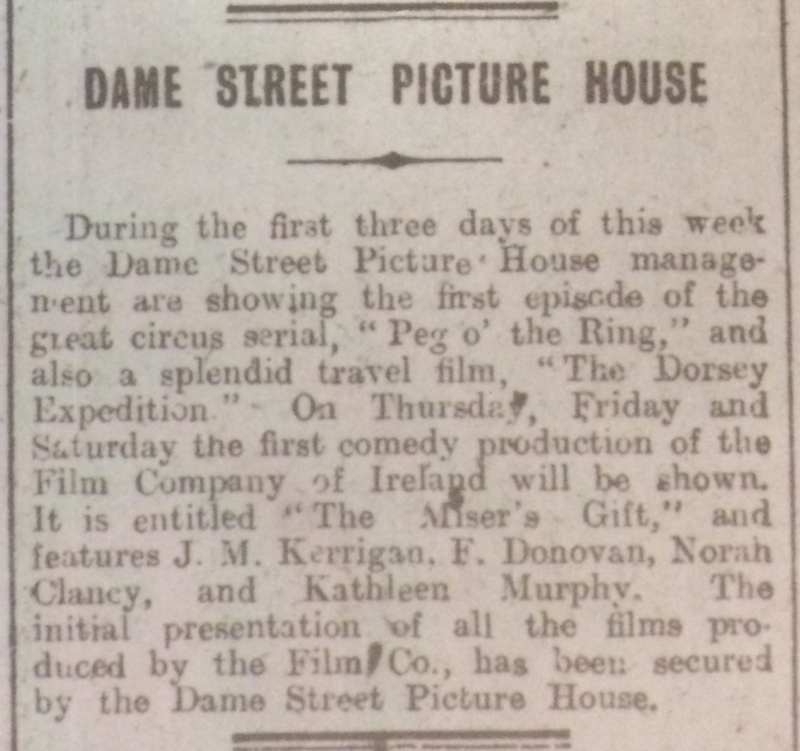 The city’s most highly publicized cinema offerings were Edison’s Talking Pictures at the Picture House, Royal Avenue, where they were joined in the week beginning Easter Monday by a programme that included Selig’s Christopher Columbus. 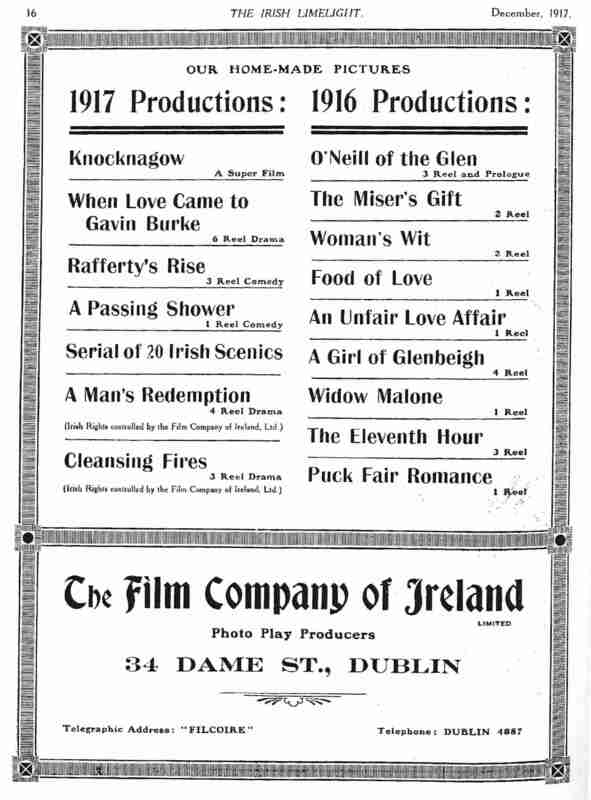 The different relationship between the churches and cinema is suggested by the fact that several of the Protestant halls – the CPA Assembly Hall, the Grosvenor Hall, the City YMCA and the People’s Hall – offered not only their usual Saturday cinematograph shows but also special film shows on Easter Monday and Tuesday. Abel, Richard. 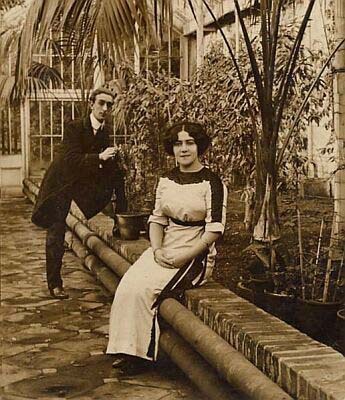 The Ciné Goes to Town: French Cinema, 1896-1914. Berkeley: U of Califronia P, 1994. “Belfast’s Newest and Most Up–to-date Picture House.” [Ad.] Belfast Newsletter 9 Apr. 1914: 9. “Camden Street Pictures.” Evening Telegraph 21 Apr. 1914: 6. Cosandey, Roland, André Gaudreault and Tom Gunning, eds. An Invention of the Devil? Religion and Early Cinema. Sainte-Foy and Lausanne: Éditions Payot/Laval UP, 1992. “Easter.” Evening Telegraph 11 Apr. 1914: 4. 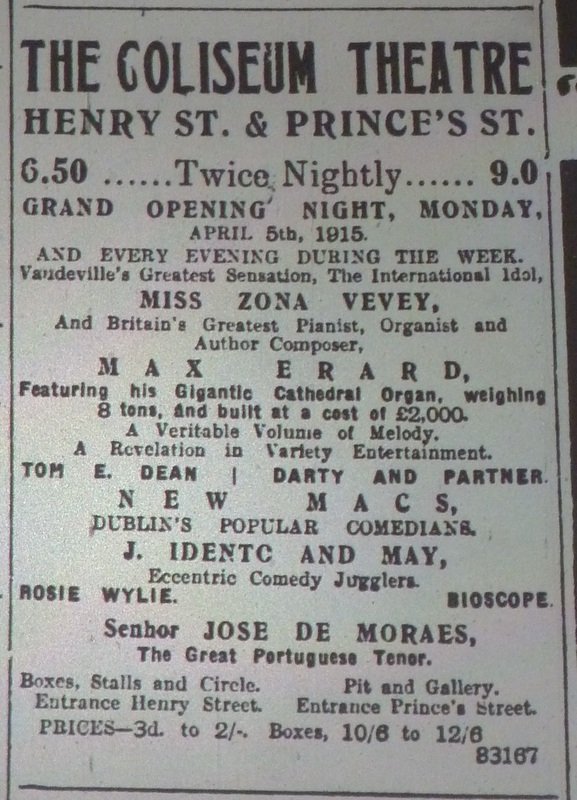 “Easter Amusements.” Derry Journal 13 Apr. 1914: 8. 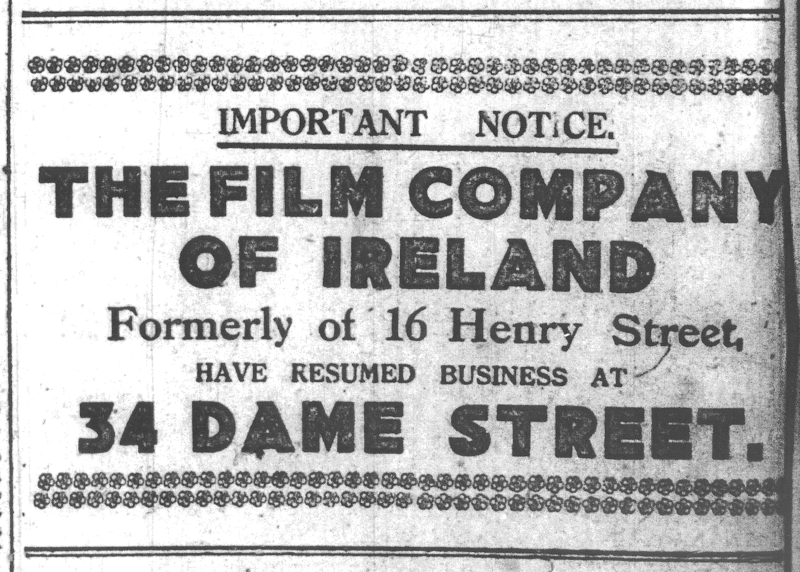 “Irish Animated Picture Company.” Irish Times 10 Mar. 1914: 5. “Items of Interest.” Bioscope 12 Mar. 1914: 1109. “Kinema House.” Belfast Newsletter 14 Apr. 1914: 9. “Letter from Father Gleeson.” Evening Telegraph 11 Mar. 1914: 5. “‘The Messiah’ at the Round Room Rotunda.” Evening Telegraph 4 Apr. 1914; 7. Paddy. “Pictures in Ireland.” Bioscope16 Apr. 1914: 313. “Picture Theatres: Conditions of Licensing.” Evening Telegraph 10 Mar. 1914: 3. 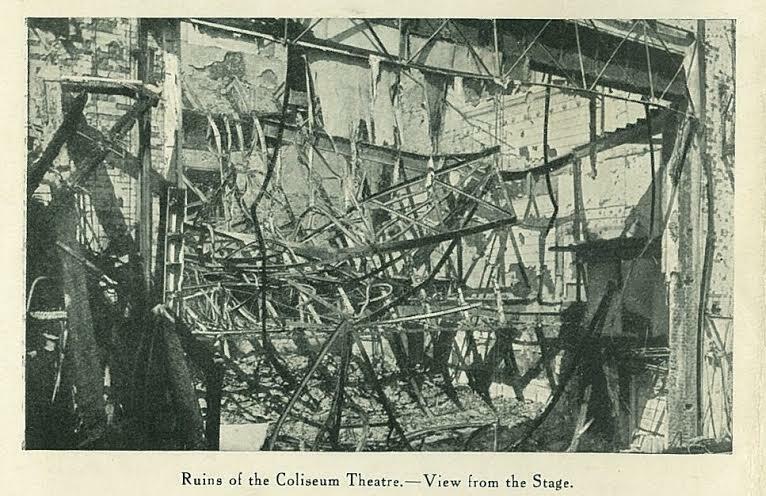 “Picture Theatres: The Archbishop’s Views.” Evening Telegraph 20 Apr. 1914: 3. 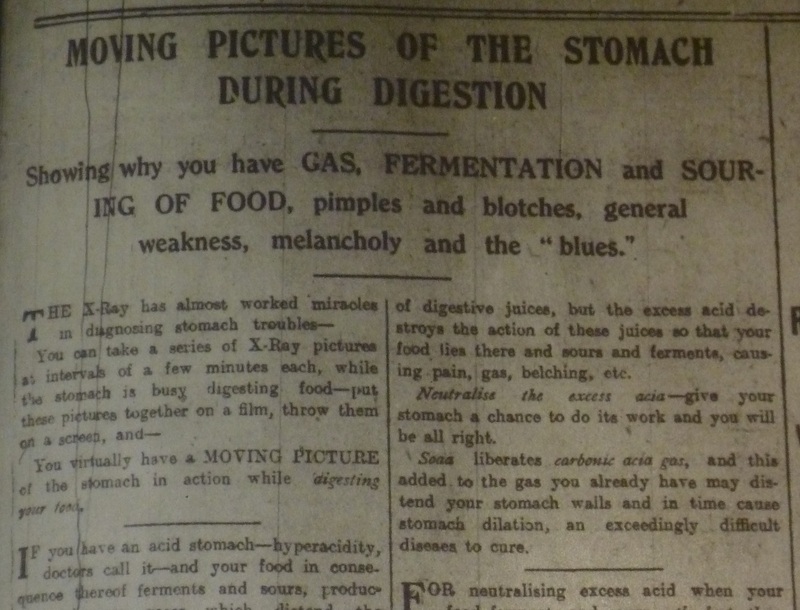 “Rotunda Pictures.” Dublin Evening Mail 24 Mar. 1914. “Sunday Pictures: For Working People.” Evening Telegraph 11 Mar. 1914: 5. Uricchio, William and Roberta E. Pearson. Reframing Culture: The Case of the Vitagraph Quality Films. Princeton: Princeton UP, 1993.